IEEE Spectrum: For some, innovation can stem from a dream or scribbles on a cocktail napkin. For Tre Zimmerman, co-founder and chief technology officer of Ubicquia, an Industrial Internet of Things (IIoT) provider, his next idea came from taking in the view one afternoon from his son’s bedroom window. 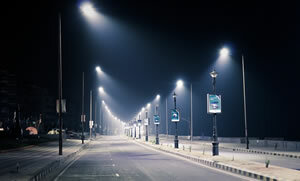 At 2 p.m., Zimmerman noticed that a streetlight outside was still lit, when it clicked that that connectivity and power, nearby and readily available, were as accessible as the nearest street lamp. Power: Distributed power is necessary 24/7 to create, store and transmit data. Networking: There is a shortfall of broadband capacity to meet IIoT demands. Cost: The price tag of cobbling such systems together can be staggering.